George Legendre is a founding partner of IJP Architects, a London-based practice exploring the natural intersection between space, mathematics, and computation. Legendre graduated from the Harvard Graduate School of Design in 1994 and served as lecturer and Assistant Professor of Architecture there from 1995 to 2000. Prior to founding his practice, he was visiting professor at ETH Zurich (2000), Princeton University (2003-05), and Unit Master of Diploma Unit 5 the AA School of Architecture in London (2002-08). 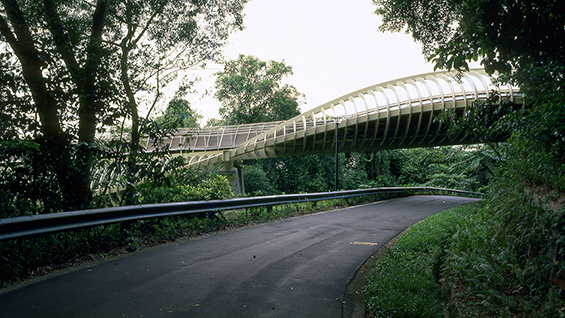 To date IJP has won a competition to cover a central London Street with 1000m2 of glass (with Adams Kara Taylor), and completed Henderson Waves, a 1000-foot-long bridge located in Singapore (with RSP). IJP served as delivery architect for the Bat House, a high-tech, sustainable shelter recently completed in the London Wetlands Centre. The influential trade weekly Building Design elected the 3-year-old firm as one of the top 5 practices in Britain led by principals under the age of 40. IJP is the second foreign-based office (after BIG) to reach the final of the MoMA PS1 Young Architects Program Award.